The latest Google app for Android gains a new offline search option. With the update, you can perform a search when being offline. The basic thought behind the feature is to enable users to use Google, without being worried about patchy internet. So, if you are not connected to the internet, Google automatically saves pending searches made during patchy or no internet connection to provide results for them later when a user goes online again. You can queue up your searches on Google app to see results for them later when there’s stable connection. The app works behind-the-scenes to detect when a connection is available again and deliver search results once completed. The feature doesn’t drain your device’s battery. While searching for topics with no Internet connection, the Google app will show you an alert that says network connection isn’t available. It tells you the app will remember your search and notify when results are ready. You will have the option of either turning it on or off. It will again send you a notification when Internet connection is back and your search results are ready. Google’s new feature is quite useful, especially for countries like India where there isn’t a stable connection available everywhere just yet. There’s still a larger population in the country which isn’t connected or relies on 2G network. With the new Google app, users wouldn’t need to wait for the connection to back back to search for topics again. You can simply enter search topics even when you’re not connected to Internet and get results once you’re online. 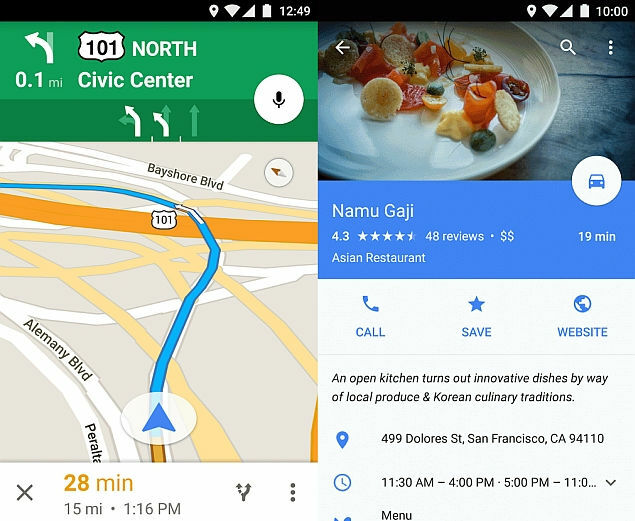 Google is so far launching the feature for Android users. There is no word yet on this feature making it to the Google app for iOS.